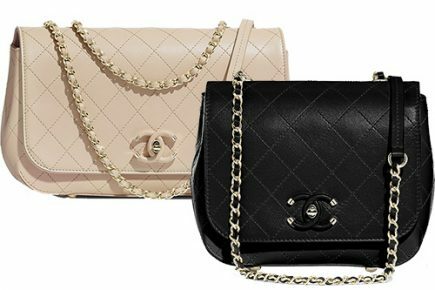 ‘The Mini Coco Handle Bag is compatible with the Mini Classic Flap Bag. The Small Coco Handle Bag is similar sized as the M/L Classic Flap Bag. The Medium Coco Handle Bag is similar in width to the Jumbo Classic Flap Bag’ – Jasmine. ‘Medium coco handle – measure of the base is 11.5 inches (29 cm) Medium classic flap – 10 inches (25 cm)’ – Gina. ‘How to distinguish the mini and the small size? Counting the number of diamond is the most consistent . 6 for the mini and 9 for the small. 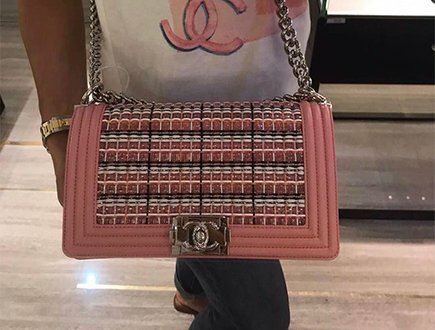 However, The Chevron Coco Handle Bag is difficult to judge the size by the picture. The Chevron Coco Handle Bag tends to be ” smaller” by 0.3 inch bring a structured bag.’ – Jasmine. 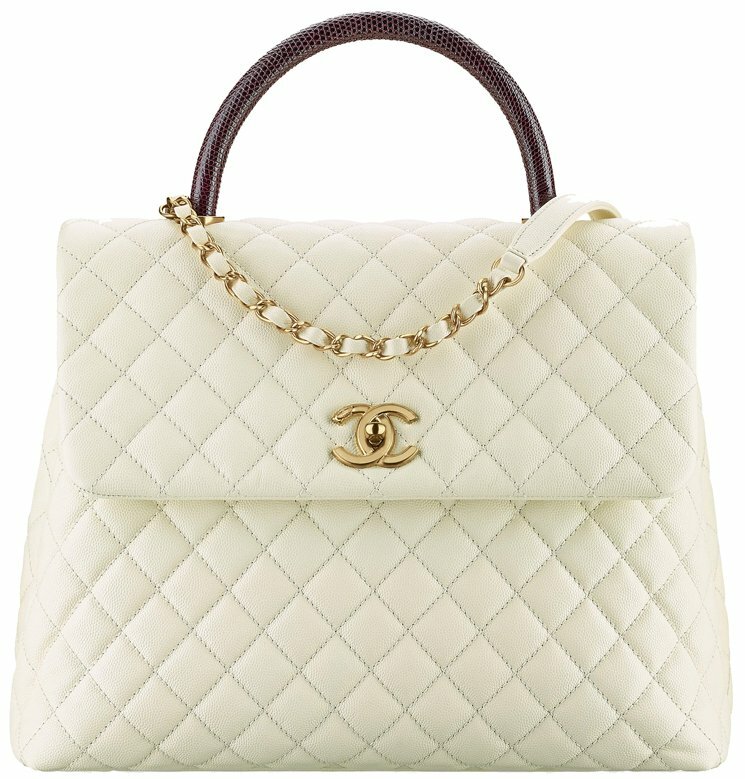 This bag is just gorgeous. Thanks for the great overview. Wondering if you have (know where) I can get updated pricing on all the sizes (normal handle vs lizard handle) in the us, UK, France. Also I had a chance to look over the quilted ?medium coco handle and noticed the interior is fabric. Do you know if still making leather interior or this (fabric) is the new way. Lastly, I heard that the Lizard handle is going away for good, Is this true? Why? Hi Miki, we’ve the updated the prices of the Calfskin Handle. 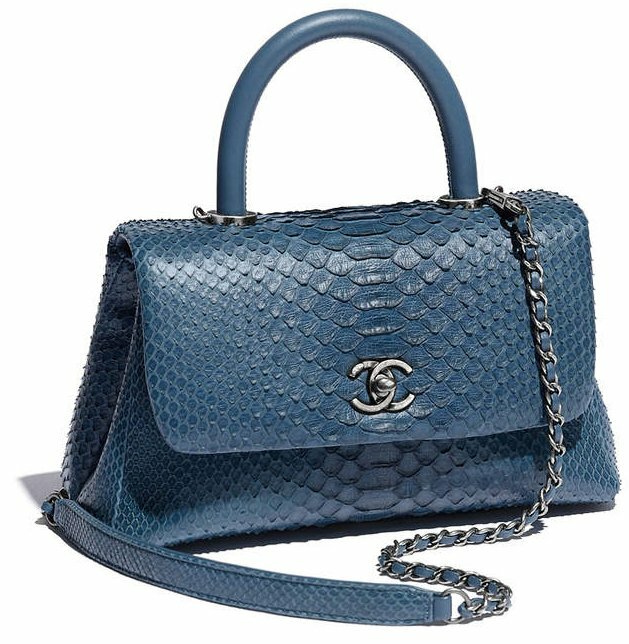 The Lizard Handle weren’t presented in the previous collection, but instead, Chanel switched to Elaphe Handle, which is new. 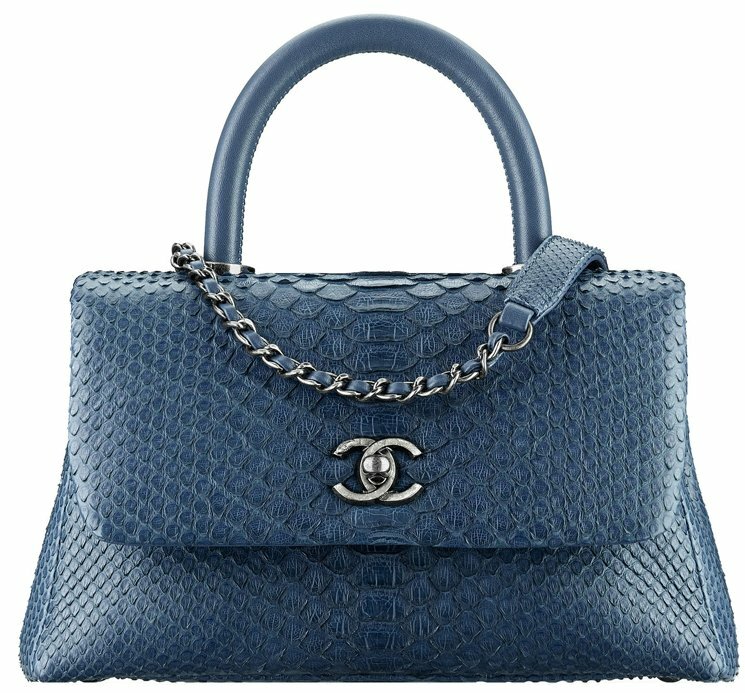 Both the calfskin and elaphe prices are the latest. 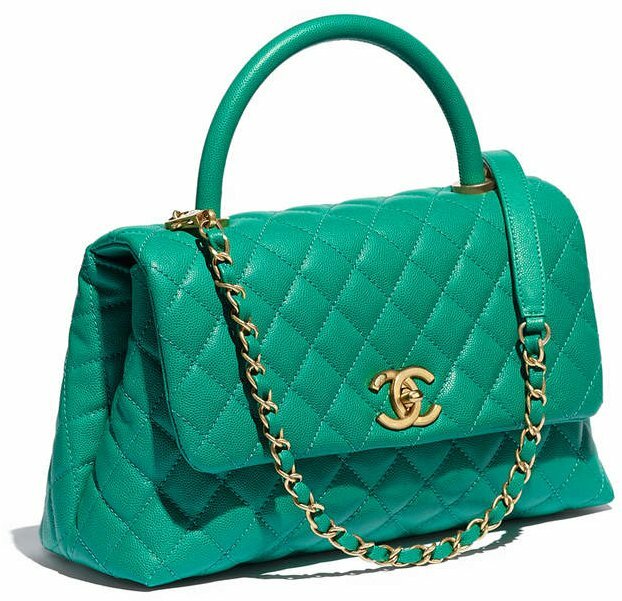 I have also been informed that Chanel will remove exotic leathers in the future in all of their handbag like lizard, crocodile leathers and so on. So the story is real. 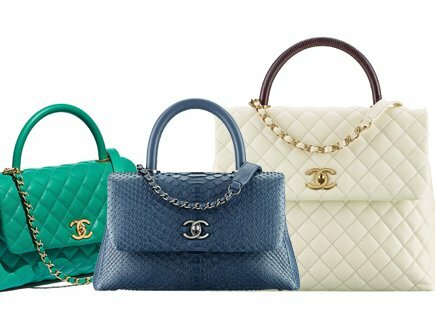 I am traveling to Paris next month and want to purchase the Coco as my first ever Chanel bag. 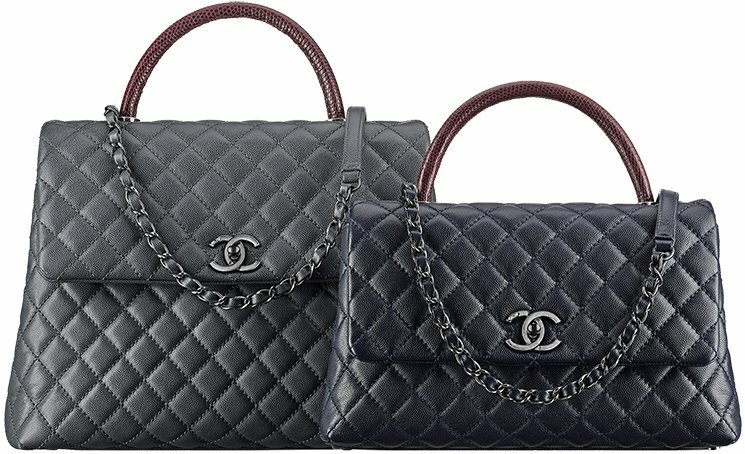 I want black quilted and not sure if I want the medium or small. I do want to use it as an everyday bag so I am thinking possibly the medium. Do you think the Paris locations will have both or at least 1 of them? How do you know if they’re still available? 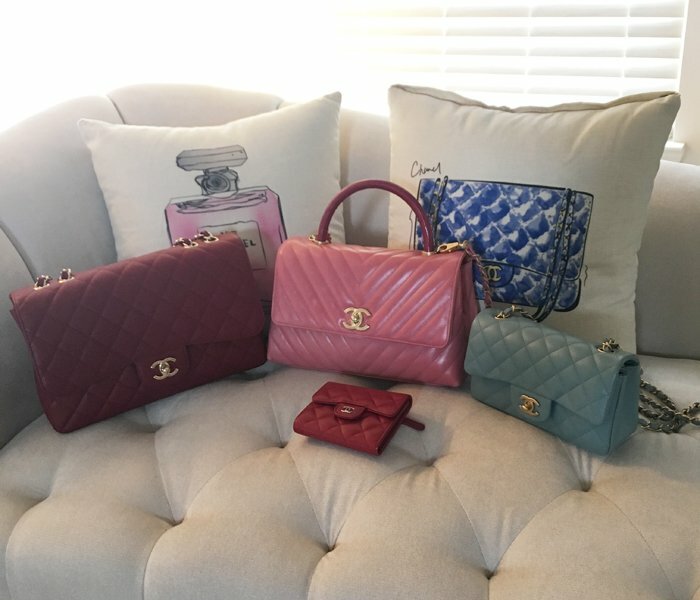 Sorry for all of the questions I am new to the Chanel game as it has always been a bit out of my price range, but I am now in a position where I can buy one and what better place than Paris! Hi Alexandra, The Coco Handle Bag is a good choice. 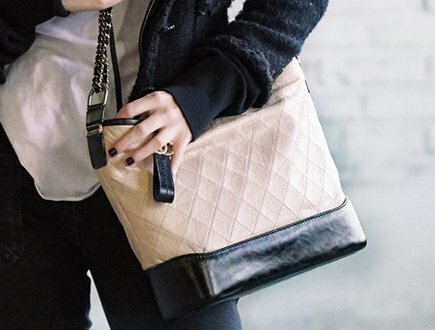 This is a popular handbag and the black color in medium and small are both most-picked sizes. The size is slightly different, but it’s personal choice. You need to check whether the interior size is large enough for your daily essentials. And whether the small or medium look better on you. Both are good as an everyday bag. Whether its available in Paris, it depends on the stock and your luck. Best moment is to shop on Monday to Wednesday for the best stock. Weekends are busy. Check the most popular stores first, especially 31 Rue Cambon, there are a lot of boutiques in Paris. Thank you! 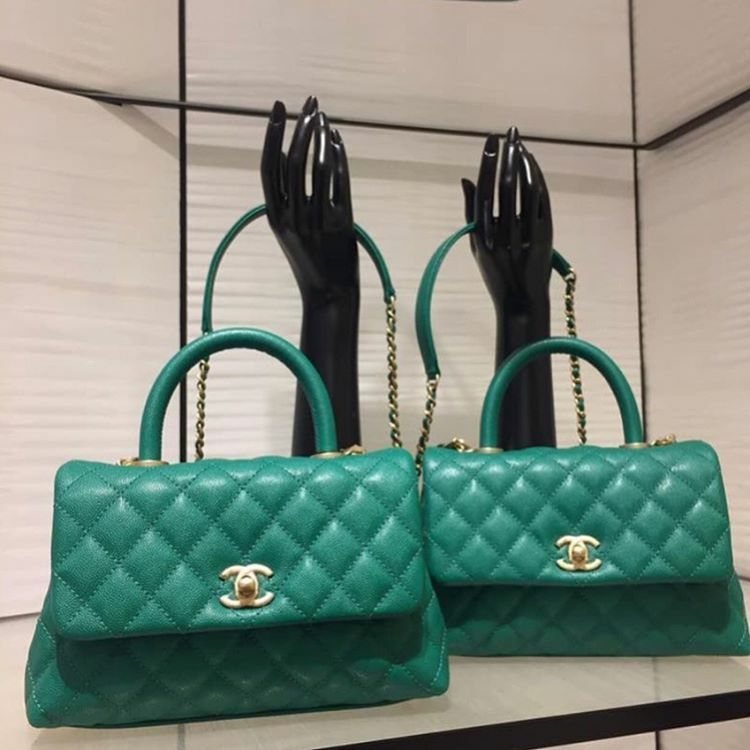 Someone put me in touch with a SA in the Rue Cambon store so I am keeping my fingers crossed that she will be able to get one for me! I will keep you posted. This is a great post by the way extremely helpful!! 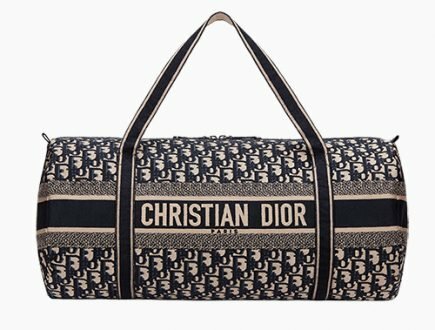 Looking for the coco handle in black diamond quilt in mini, live in Australia. 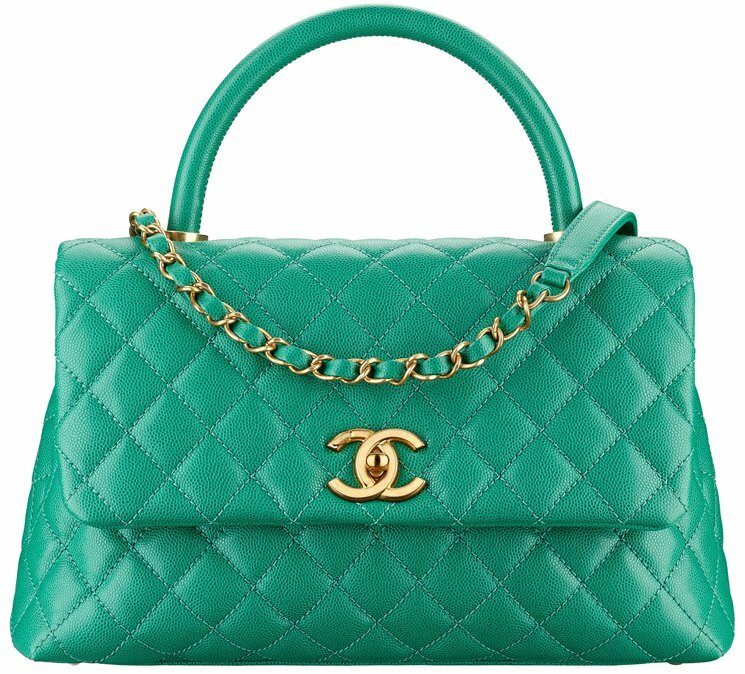 Hi may I know which country has the highest tax refund for Chanel? Is it Portugal? 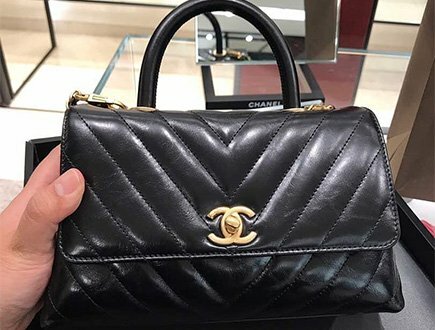 Looking for coco chanel in Small size in caviar black . With antique gold .could you tell me please where can I find it? Hi iris, in chevron or diamond quilting? With Lizard or Calfskin handle? The chevron or diamond quilting is available per season. 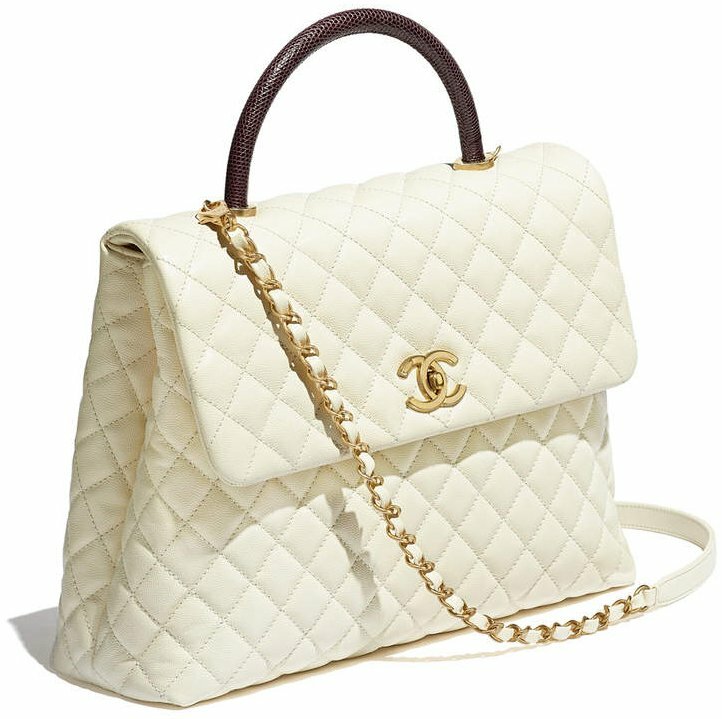 Some season Chanel releases chevron and some seasons they release the diamond quilting. Which country do you live? 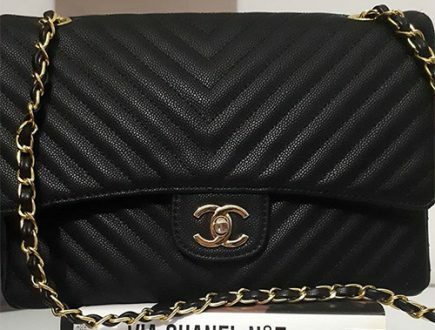 Hi, I got my bag from Chanel Boutique in Bangkok. The measurements are approx. L12.5 (base) x H7.9 x W4.7 inches. What size is this (small,medium,large)? 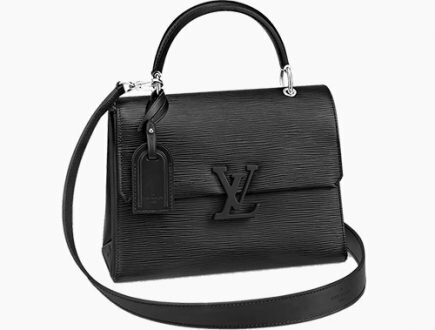 I got it in black Chevron vintage GHW for 143,700 Baht. Hi Bee, is this the price with tax-refund? And which handle did you get? Calfskin or Lizard? Hi Alex. 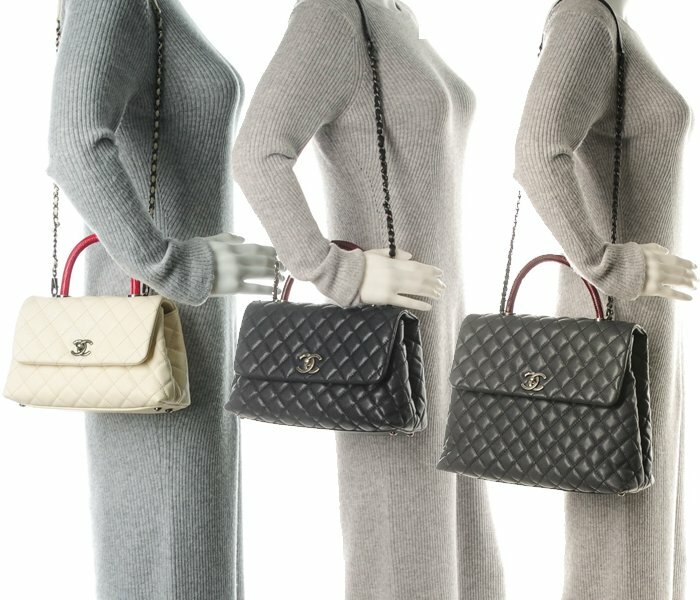 Is the bag post in the photo a coco handle with a metallic handle ? How much is it ? Can I find it in Paris ? Thank you ! 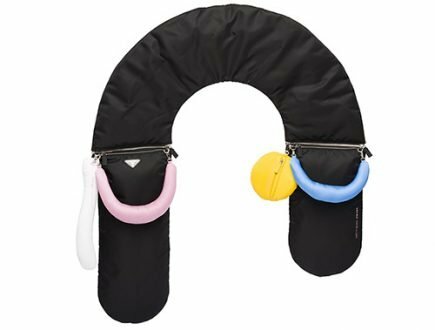 Hi Rayane, this is not a Coco Handle Bag. This bag was from one of the previous collection, we have a record of this bag with the prices. You can find it in one of the previous collection prices. Hi, may I know is coco handle with red lizard handle, golden buckle and black classic pattern in medium size still available in Hong Kong or worldwide? 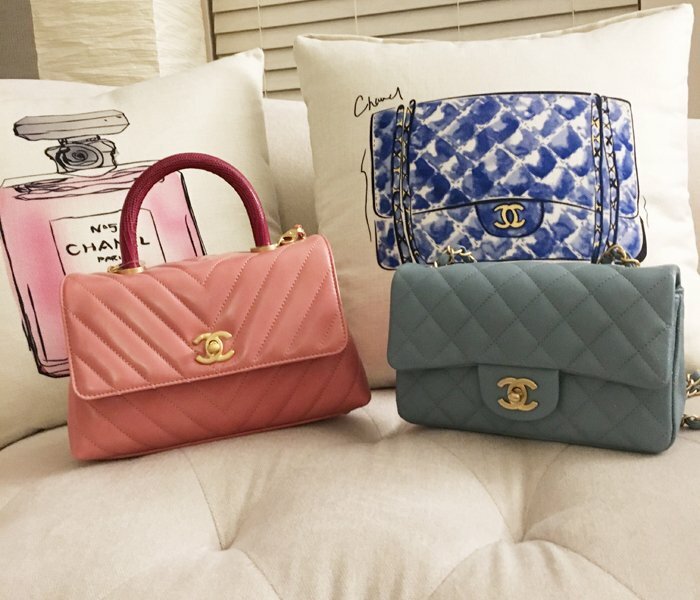 The Chanel sales said they have no idea when will it be available again and I really wanna get one~ I even asked when I went to Europe and Japan Chanel stores but it’s all out of stock…. Hi Janet, it’s available but out-of-stock just as the SA said. The Pre-Fall 2018 was less diamond quilting but more chevron quilting. 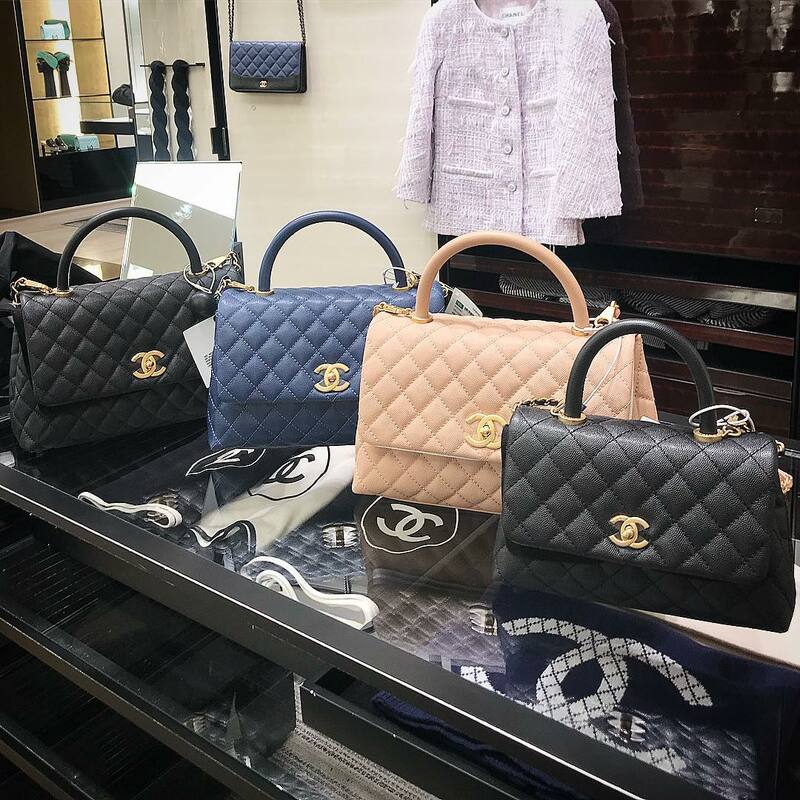 The Fall Winter 2018 Collection (which has just been released) will be reversed, there will be more diamond quilted. Please check with the SA again later. I got my Coco handle last July 2, 2018 . 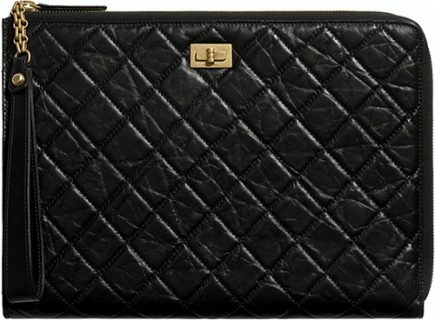 In medium , chevron – black caviar with GH regular handle. € 3,400 bef VAT . SA said diamond version will be out by end of July . I saw some other color like royal blue, dark blue and beige. The lizard handle of same size is € 3,500. The Chevron gives me that vintage feel and I just simply love it. Others say the diamond is too puffy and less structured. Hi, may I know what are the coco handle prices in Malaysia compared to the UK? omg price increase! thank you for letting us know Widya. We’re going to look into the new prices around the world. 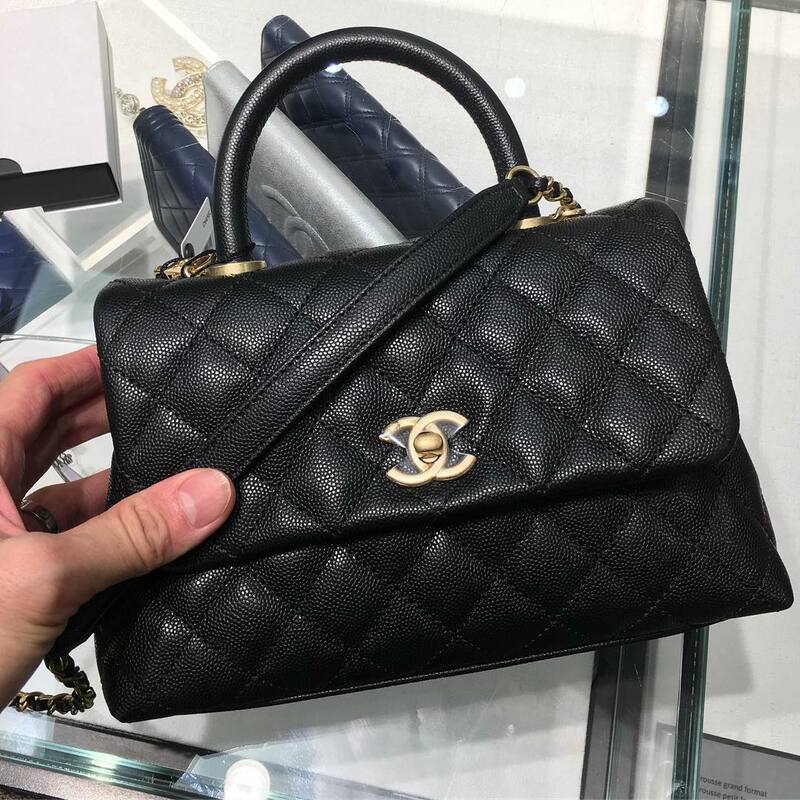 I heard that Coco will increase again this July 1 around 300-500.
hi Alex, Chanel Coco Handle medium size still available at London? Mini’s chevron: blue with ghw, black with ghw, light gold with metallic and ghw. Husband will be in Europe next month. Hope he can get me another Coco in blue color. Hope they have quilt one. Let’s cross our fingers and do update us.